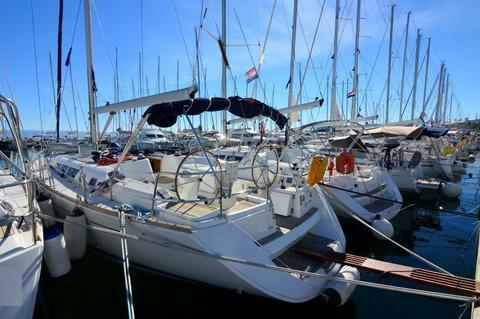 Well maintained Jeanneau Sun Odyssey 49i with 4 cabins, 10 berths and 4 bathrooms. We are able to offer her for a superb price of 135.000 Euro plus VAT. She sails under Croatian flag. The boat was only used by owner and friends ocasionally and thats why the boat has only 2200 engine hours. It has generator, aircondition and radar.